I tell you ladies and gents - I hate technology... Or, it hates me... I spent over an hour on the phone with tech support for my new computer today. I couldn't use it at all this morning! I turned it on, was chatting with the cc and thought it just went to sleep... Next thing I know: BLUE SCREEN! So, I restarted it to see if I could at least get the phone number for the computer company... BLUE SCREEN! I didn't try again. I called my mother and asked her to look the phone number up for me on their website. Here is the real kicker... my computer is so new that it wasn't even registered in their system yet! Part of my phone call was spent with them hastily putting that in order so that the technician could help me. Technology hates me! I call today 'Graphic Novel Day'. In order to accomplish something... There are a lot of reviews. 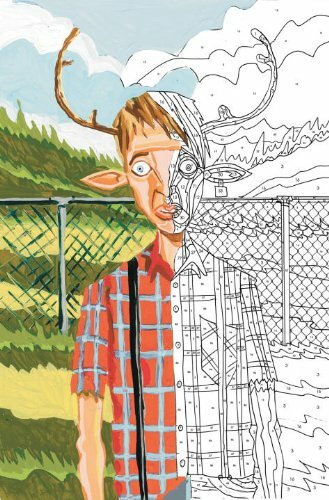 Following on the heels of THE NOBODY, his Vertigo graphic novel debut, writer/artist Jeff Lemire pens his very first ongoing series SWEET TOOTH. 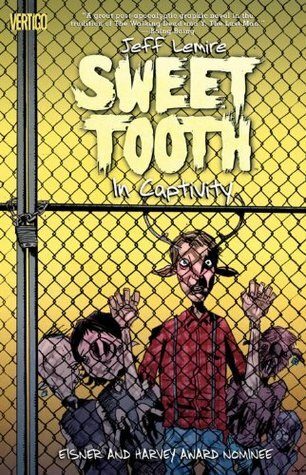 A cross between Bambi and Cormac McCarthy's The Road, SWEET TOOTH tells the story of Gus, a rare new breed of human/animal hybrid children, has been raised in isolation following an inexplicable pandemic that struck a decade earlier. Now, with the death of his father he's left to fend for himself . . . until he meets a hulking drifter named Jepperd who promises to help him. Jepperd and Gus set out on a post-apocalyptic journey into the devastated American landscape to find 'The Preserve' a refuge for hybrids. In this second volume, Lemire explores the heartbreaking story of Jeppard and how he went from a devoted husband to the ruthless mercenary he is now. Meanwhile, Gus is captured in a camp with other hybrid creatures where he meets Dr. Singh, a scientist studying the plague that's wiped out so much of the world. By traveling more into Gus' past, Singh will learn more about the plague, as well as clues at how some of it might relate to Gus and his father. I talked my library into buying this book, so I am very happy they listened to be about it and the next book in the series. This is a very different dystopian novel than the ones currently out there, so I actually enjoy it ten times more for that simple fact. The first book brought Gus to a camp where he is being studied because he is different, so this book carries on from that and shows what it is like for him to be locked up. We also learn the inspiration behind Jeppard, who captured Gus in the first place. Once again the story is heart-breaking for all concerned, and you can't help finding out what is going to happen next. I strongly recommend this series! Betrayed by one of their own, the Hunters have become the hunted as their hideaway is invaded by a pack of ravenous werewolves! But it'll take more than a few mongrels to get the better of these kids. Meanwhile, Alex begins advanced training with Mr. Roi. Will he be able to help her find a clue to her sister's disappearance? Or is the home-schooled Alex in way over her head? I loved Dramacon by this author, but I am not enthused by this series so far and the library doesn't have the 4th book. I am not sure if it is that I am not in a vampire mood or if it is because I am putting too much space between the books, but I am almost lost about all that is going on. The other possibility is that she is trying to accomplish too much in each book and is over-whelming her readers. I think what I plan to do is request the library buys the 4th book and then read all 4 books in a short period of time so that I can give a fair assessment of the overall story. It is not that this book was terrible, but Dramacon was way better! The exciting conclusion to Meg Cabot's magical Arthurian manga! Ellie has only one day left to get her boyfriend Will to truly believe he's the reincarnation of King Arthur, or the world will plunge into eternal darkness. But Will refuses to believe her! Meanwhile, the upcoming Homecoming game and dance have everyone distracted, especially Ellie. Some people aren't too happy about her Homecoming Queen nomination and are determined to cause trouble. Ellie's got to save her reputation and the world before the new moon on the night of Homecoming brings them all to a dangerous crossroad. If Ellie can't convince Will of his destiny, the world may never recover. . . . This manga series of Arthurian legend and high school romance comes to a thrilling climax in this final volume. And just remember—anything can happen if you believe! When I heard that this series had an Arthurian connection, I KNEW I was going to have to read it! The sad thing is that I read the first two books a long time ago and am only getting around to this now because it was ages before the library bought it and I sort of forgot to keep checking. 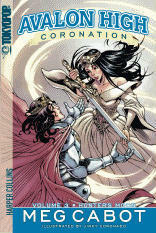 I really enjoyed this retelling of the popular Arthurian myth in a modern time period. I believed it was well-done and not far-fetched at all. I liked the character of Ellie and her influence over the modern day Arthur. It was a little too perfect, but she didn't have a lot of room to draw things out. A cross between Bambi and Cormac McCarthy’s The Road, SWEET TOOTH tells the story of Gus, a rare new breed of human/animal hybrid children, has been raised in isolation following an inexplicable pandemic that struck a decade earlier. Now, with the death of his father he’s left to fend for himself . . . until he meets a hulking drifter named Jepperd who promises to help him. Jepperd and Gus set out on a post-apocalyptic journey into the devastated American landscape to find ‘The Preserve’, a refuge for hybrids. In this third volume, Jeppard begins to form an army to topple the militia camp so he can rescue Gus and the other hybrid kids. But will he arrive too late to save anyone? We now know the inspiration behind Jeppard, so it is not surprising that he regrets locking Gus up and begins a journey to release him. 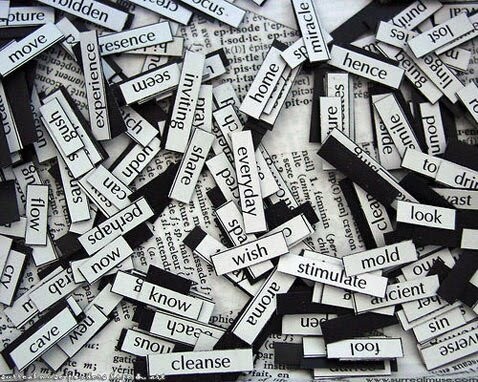 As in most books, things do not go exactly to plan and that opens a lot of action. Jeppard finds out some secrets and Gus learns to distrust most people, which is a huge turnaround from the first book. There are also more things to reveal about the characters we have met along the way. There was also something set-up in this book that I look forward to seeing played out in future books. I really enjoy this graphic novel series and recommend it! Reason for Reading: A reread so that I knew what was going on when I read book 2 and 3. Collecting issues 1-5. Tom Taylor's life was screwed from go. His father created the Tommy Taylor fantasy series, boy-wizard novels with popularity on par with Harry Potter. The problem is Dad modeled the fictional epic so closely to Tom's real life that fans are constantly comparing him to his counterpart, turning him into the lamest variety of Z-level celebrity. 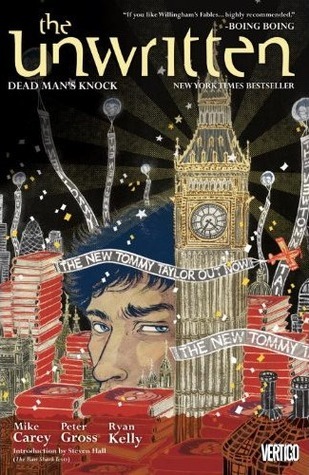 In the final novel, it's even implied that the fictional Tommy will crossover into the real world, giving delusional fans more excuses to harass Tom. I read this book ages ago, never reviewed it, and then didn't read the sequels in a timely manner, so I figured I should refresh my memory. This is a highly entertaining book that combines many aspects of literature that I love: Fantasy, magic, books, literary characters, mystery, murder, vampires, and much much more. It almost gives Fables a run for its money, but that will probably never happen. This book also sort of connects to the very famous series about a magician named Harry Potter. I wasn't sure if I would like that, but it is actually rather entertaining and I just loved this book. If you haven't gave this series a try, you really should! When an enormous scandal reveals that Tom might really be a boy-wizard made flesh, Tom comes into contact with a very mysterious, very deadly group that's secretly kept tabs on him all his life. Now, to protect his own life and discover the truth behind his origins, Tom will travel the world, eventually finding himself at locations all featured on a very special map — one kept by the deadly group that charts places throughout world history where fictions have impacted and tangibly shaped reality, those stories ranging from famous literary works to folktales to pop culture. And in the process of figuring out what it all means, Tom will find himself having to figure out a huge conspiracy mystery that spans the entirety of the history of fiction. Now that we know Tom Taylor a bit, I have to say that the only that that bothers me about this series is Tom. He is really rather whiny and sometimes I would love to give him a good shake, but that is sort of the point of his character and everything that has happened during the series so far. It is in this book that Tom really gets to know the rest of the members of his team because in the book he has a guy and a girl sidekick, so he of course has to have them included in his real life adventures. There is also a flying cat. Tom obviously believes that the books are only books, so he doesn't think that he has any connection to them. He is learning about who he is along with the reader, so it makes the series interesting. 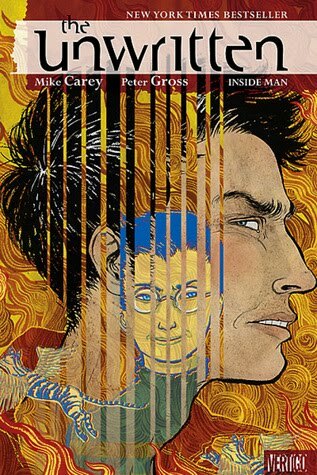 The third volume of the critically acclaimed New York Times best selling new series from the Eisner-nominated creative team of Mike Carey and Peter Gross. This volume includes “Dead Man’s Knock,” featuring the launch of the long-awaited new Tommy Taylor novel. A scheme by the Unwritten cabal to bring its author out of hiding works with dramatic results, including the momentous confrontation between Tom and Wilson. Here is a trip down memory lane.... CHOOSE YOUR OWN ADVENTURE! I am serious - part of this book you do just that and I was unnecessarily excited about this. This is also the book that explains the character of Lizzie Hexam, who you might recognize if you have read A Mutual Friend. In this book she gets her own section to explore who she is and how she came to be involved in Tom's story. It also is where Tom begins to address aspects of his past and the reader learns a few secrets that Tom doesn't know about yet. It was a great read! I assume that with my luck this evening, adding the cards will destroy my formatting. I have decided to cheat. I have been feeling a bit discouraged with graphic novels lately, so I am so happy I was able to find so many great ones in the same month! Sounds like you need to ditch the PC world and enter the Wonderful World of Apple. lol Great Post! I think I may have watched a movie entitled Avalon High at some point.... I didn't know it was based on a series by Meg Cabot! Hmmm..